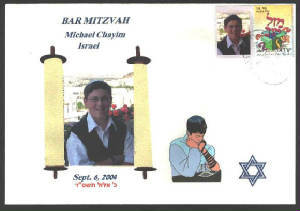 Are you celebrating your son's Bar Mitzvah this year? 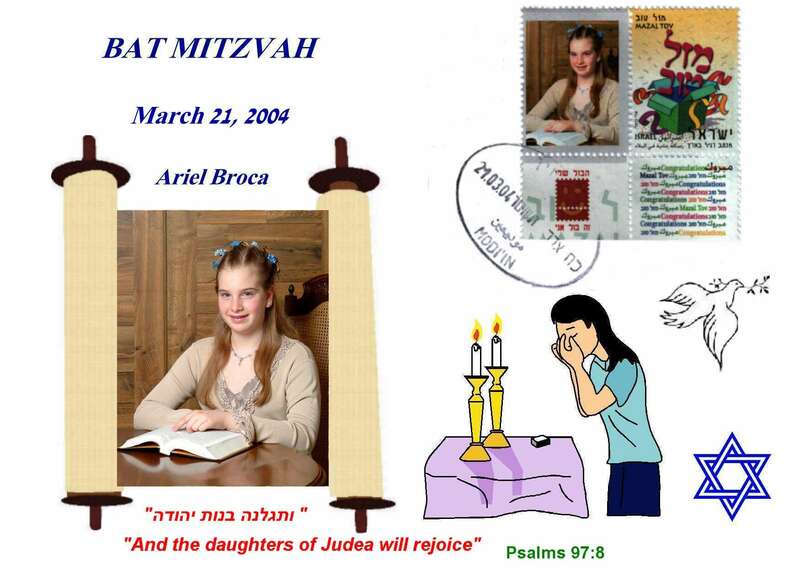 Perhaps you are celebrating your daughter's Bat Mitzvah. Would you like a special custom made commemorative momento to perpetuate the memories of this important family occasion? stamped covers to honor your family simcha. The cover features an authentic Israeli stamp with an attached label featuring a photograph of the Bar/Bat Mitzvah boy/girl. The same picture will be featured prominantly on the commemorative envelope. 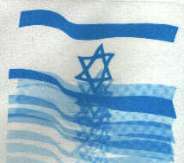 The covers will be postmarked at an Israeli post office on the date , or as close to the date of the occasion as possible. featured on a label attached to an authentic Israeli stamp featuring a couple under the Chuppah. The same picture will be displayed on our special commemorative wedding cover. We are offering a package of 7 identical covers for the low price of $36 (chai x2). You will also receive 2 Mint stamps with the labels attached. Click on the "Buy Now" button below and you will be directed to an easy payment by PAYPAL page. You can send the picture to be featured on the stamp by one of two methods. Pictures can be sent by email to danc@bezeqint.net. The picture must be sent as a jpg file with a maximum of 250 kb file size. In addition, you must email us the following information. The name of the celebrant, as you would like it on the cover. The type of occasion, ie Bar Mitzvah, Bat Mitzvah. (Today it is sometimes difficult to tell just by the name and picture). You must submit the picture you want featured at least 6 weeks before the event. (Orders not received in time will be postmarked after the event when ready). and label to the custom made commemorative envelope and then have the post office cancel the stamp on the appropriate day. We then airmail the finished product to you by registered mail.